For over a century, the Warring States Masters (Kongzi, Laozi, Mozi, Mengzi, etc.) and their texts have dominated the modern imagination of early Chinese thought. 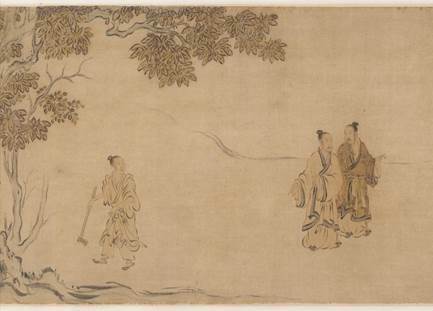 Students who first encounter ancient China typically experience its philosophy or intellectual history as a parade of quasi-heroic master figures beginning with Kongzi and ending with the Qin empire. But how reliable is the “Masters Narrative,” and is there a better way of telling the story? In this talk, Prof. Hunter will briefly summarize the failings of the Masters Narrative before turning to a text that is routinely neglected by philosophers and intellectual historians, the Classic of Odes. What might the story of Warring States thought look like with the Odes (as opposed to the Analects) as its foundational text? This talk is sponsored by the Centre for Chinese Research, UBC. Michael Hunter is Assistant Professor of East Asian Languages & Literatures at Yale University. He received his Ph.D. in 2012 from the East Asian Studies department at Princeton University and he is the author of Confucius Beyond the Analects (Leiden: Brill, 2017).